Based on the first book in the series Mary America: First Girl President of the United States comes this fun, snappy musical. 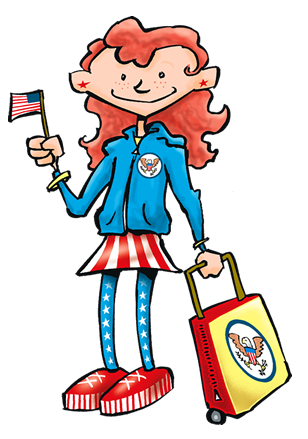 You will love acting out being the President, and learning how much goes into it! I hope you can do a great impression of me; because now is your chance! Don't forget there are plenty of characters to be too, like my pesky brother, Josh, my quirky Aunt DooDah, or even be one of my BEST FRIENDS! Click Here to get your own copy of my Musical!